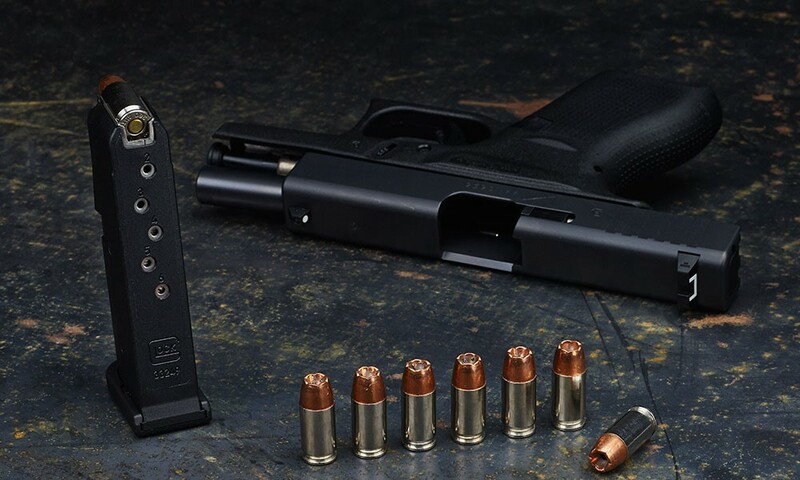 Most people have heard about Glock pistols having something called polygonal rifling, but what does that mean?… And why should we care?… Well, polygonal rifling in a simple sense is “wavy” rifling versus the traditional lands-and-grooves or “square-cut” rifling. Like anything, it has its features and benefits. Standard rifling in pistols, which seems like an after-thought to most people, is called Lands-and-Grooves rifling. If you’ve never peered down a barrel to see what this may look like it is very square-cut; made at 90° angles. This has been the old standby in terms of rifling because it nearly never fails. The deep, square channels can gather microscopic shavings off of bullets without creating an obstruction, even if excessive shooting without cleaning occurs. A simple metaphor can be made with tires. A winter tire with deep tread, but less surface on the ground is great for driving through heavy snow and mud (barrels handling lots of fouling) which makes the tire more reliable (barrel can handle any bullet). On the flip side, this roominess can allow gases propelling your bullet to leak or escape. This results in decreased velocities; lost ballistic potential. It seems like a new idea to most, but polygonal rifling has actually been around since the 1850s and Heckler & Koch has been perfecting it since the 1960s. Polygonal rifling can be found in a lot of service or law enforcement pistols because of the benefits it provides. Polygonal or wavy rifling has more shallow channels. This allows the least amount of gas to escape around the bullet leaving the barrel. It also creates a greater bearing surface which will increase velocity and accuracy. If this is hard to grasp, think of the tread that’s on a tire again. A tire with more rubber touching the pavement (polygonal rifling touching the bullet) will allow you to go drive faster (shoot higher velocities). This matters to law enforcement because if you need to shoot through barriers like a car door, glass, or clothing, then you’re getting the most velocity and accuracy out of your ammunition with polygonal rifling. Polygonal rifling also exhibits less wear over time allowing them to outlast traditional Lands-and-Grooves rifling barrels. Lead bullets can foul polygonal rifling very fast and create an obstruction before you finish shooting an entire magazine in some cases. When people talk about catastrophic failures, this would be it! You can shoot reloads safely through polygonal rifling, but it needs to be Full-Metal Jacket (FMJ), Total-Metal Jacket (TMJ), or simply Jacketed rounds. This will prevent dangerous fouling, and then the rifling will work for you like it’s meant to do: higher velocities, more accuracy, and greater longevity. There are several firearm companies on the market utilizing this style of rifling: Glock, Heckler & Koch, Kahr Arms, Magnum Research, Tanfoglio, and CZ. Nice post. I be taught something more difficult on completely different blogs everyday. It should all the time be stimulating to learn content material from other writers and follow slightly one thing from their store. I’d favor to use some with the content material on my weblog whether or not you don’t mind. Natually I’ll offer you a link in your net blog. Thanks for sharing. Am I mistaken or does the new Glock 19 Gen 5 have a “lands-and-grooves” rifled barrel? The new Gen5 Glocks still have polygonal rifling, but it is deemed ‘enhanced’ or ‘match-grade’ in comparison to the previous rifling used.